Dave Dunwoody reports on the death of Leonard Gonzalez Sr.
Leonard Patrick Gonzalez Senior, one of the principals in the 2009 slayings of Byrd and Melanie Billings, has died in prison at the age of 62. As is the case with every inmate death, the Department of Corrections will investigate Gonzalez’ passing, with the Medical Examiner determining the cause of death. DOC spokesman McKinley Lewis says the Inspector General’s Office will also investigate, which is standard procedure. Gonzalez was serving 17 and a half years for his involvement in the slayings, which occurred at the Billings’ home in Beulah on July 9, 2009. In March, the Florida Department of Corrections asked for an early release for Gonzalez, who was wheelchair-bound with a terminal illness and needed assistance to complete ordinary daily activities. Eddins and the Billings’ daughter, Ashley Markham, appeared before the Department of Offender Rehabilitation to oppose his release. The DOR voted 3-0 to deny the motion and have Gonzalez serve the remainder of his sentence. Eight people were convicted of planning and participating in the Beulah murders, including Leonard Patrick Gonzalez, Jr, who’s said to be the mastermind behind the crime. In April, the Florida Supreme Court upheld his first-degree murder conviction and death sentence. The elder Gonzalez’ 17 and a half year term, says Eddins, could have been longer without his cooperation in the third trial of another defendant, Donnie Stallworth. The former Air Force sergeant was charged with two counts of first-degree murder. Mistrials were declared in the first two proceedings when the juries deadlocked. Stallworth received two consecutive life sentences. The Department of Offender Rehabilitation also rejected a second defendant’s motion for early release in the Billings case. Pamela Long Wiggins, who is also said to be terminally ill, is serving 28 years as an accessory after the fact. One of the principals in the slayings of Byrd and Melanie Billings will remain in prison. 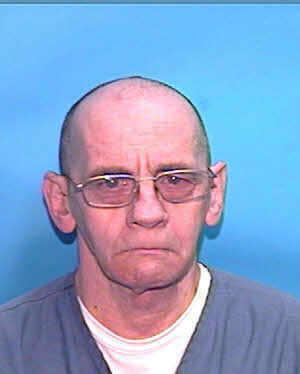 Leonard Gonzalez Sr.s motion for early parole went before the Florida Commission on Offender Review on Wednesday. On a 3-0 vote, the Commission decided that the 62-year-old Gonzalez will continue to serve his 17 and a half year sentence. State Attorney Bill Eddins, one of the chief prosecutors in Gonzalez’ case, says the Department of Corrections had requested the early release. Florida’s new Secretary of Corrections is facing questions from state lawmakers concerning confidence, inmate deaths, and complaints of abuse from officers. The main question appears to center on the agency’s ability to police itself. Julie Jones was named to the post on January 5. Two weeks later, she met with various legislators on her game plan to restore confidence and ease concerns. “I’m a very plain-spoken honest person, and we’re going to keep doing what we’re doing in order to get this thing fixed,” said Jones.